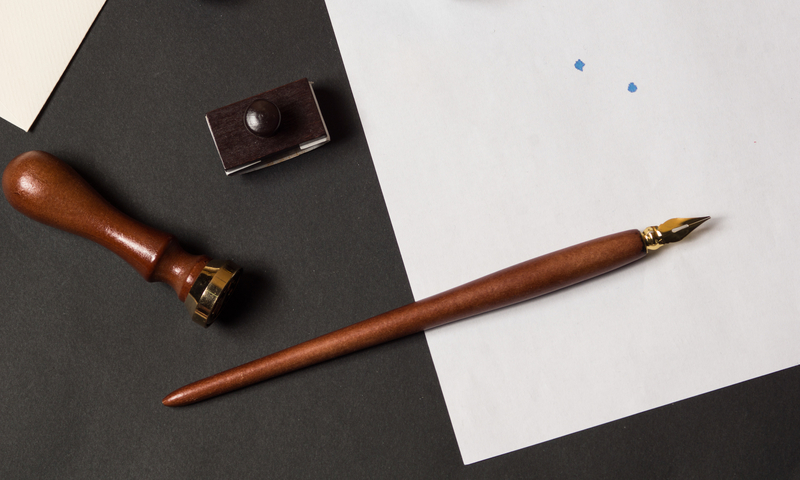 Many of us that write with fountain pens still appreciate things like the value of good penmanship and how meaningful a handwritten letter can be. Since electronic communication has replaced much traditional correspondence that was previously written by hand, where does one still find a paper tablet worthy of a personal letter written with a fountain pen? 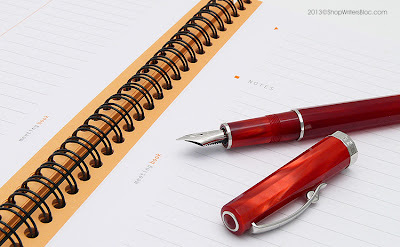 In case you haven’t already discovered them, we want to introduce you to two paper tablets that will inspire you to put your fountain pen to paper and write a letter to a friend! 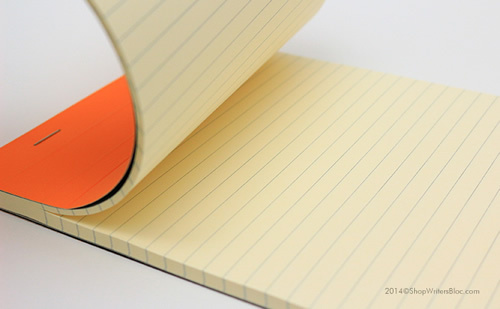 Clairefontaine paper is considered by many to be the best paper in the world for writing. 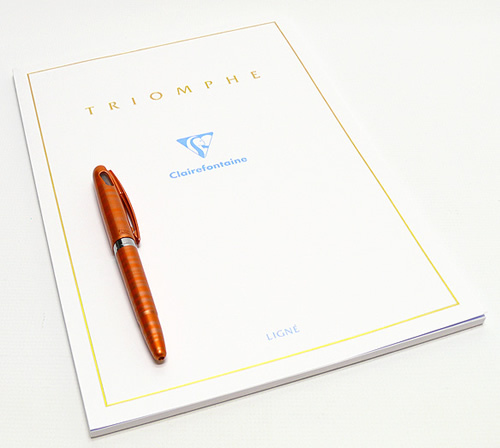 Their affordable Triomphe Stationery Tablets contain exceptionally smooth velin veloute paper that will make your fountain pen glide across the page. The calcium carbonate in the 90g paper minimizes any fountain pen ink feathering, bleed through or show though that can be a problem with other papers. 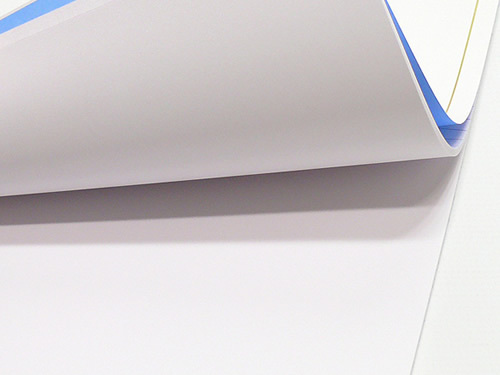 The paper is bright white which allows your ink colors to really stand out. Clairefontiane paper is acid-free and made from pulp and wood by-products from sustainably managed forests. Triomphe Tablets have a sturdy back cover to give support while writing and the glue binding allows sheets to be easily removed. Each Triomphe Table contains 50 sheets of paper and is available with blank or ruled paper, in 5.75″ x 8.25″ or 8.25″ x 11.75″ sizes. Matching Triomphe envelopes are also available. 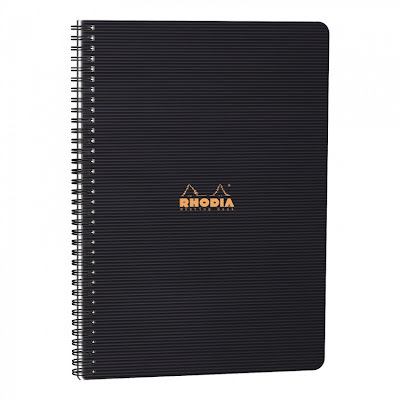 The paper contained in R by Rhodia Premium Notepads is manufactured by Clairefontaine so you know it’s going to be top quality! It is also a super-smooth 90g that is fabulous when paired with fountain pens, but instead of bright white it is a soft ivory color. 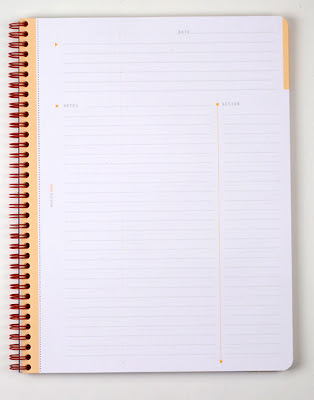 These notepads are stapled at the top and each sheet is microperforated so that it can be removed from the notepad with ease. 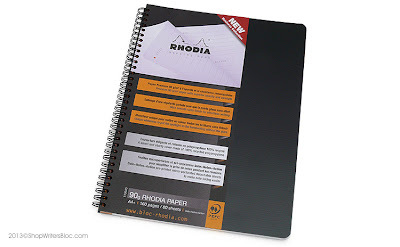 R by Rhodia Notepads have cardboard inside the back cover for extra support and the front cover is scored so that it folds back neatly. 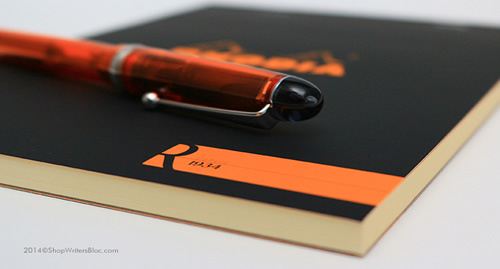 Each notepad contains 70 sheets, comes with either blank or lined paper, orange or black cover, and is available in the following sizes: 3.38″ x 4.75″, 6″ x 8.25″, 8.25″ x 11.75″. 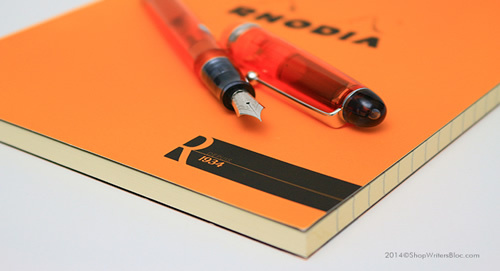 For more in-depth information about R by Rhodia read our previous blog posts: Introducing R by Rhodia and R by Rhodia vs Original Rhodia Notepads. Do you like to snail mail hand-written letters? What’s your favorite paper writing tablet? 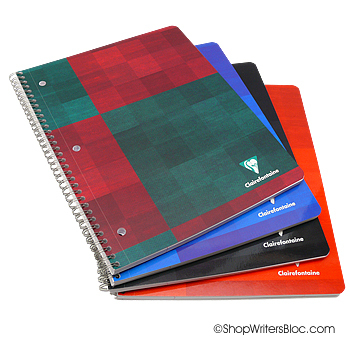 Clairefontaine notebooks are well known for their exceptional paper quality. Even if you feel that these notebooks don’t look like much from the outside, it’s what is on the inside that really counts when it comes to your writing experience. The 90g paper inside these notebooks boasts an exceptionally smooth satin finish and is bright white thanks to the calcium carbonate used in the manufacturing process. Clairefontaine manufactures their own paper from pulp and wood by-products from forests certified by PEFC to be sustainably managed. Clairefontaine is committed to minimizing their impact on the environment so their paper is chlorine-free, acid-free, pH neutral and is printed with natural inks. 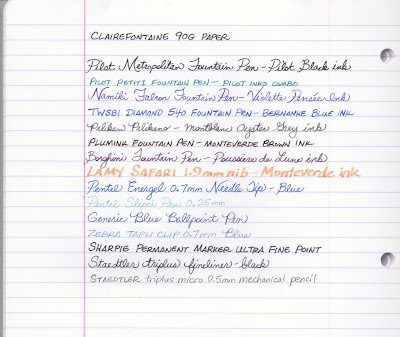 Many writers who use fountain pens loyally use Clairefontaine paper because they feel that it is ideal for their writing needs! This fabulous paper eliminates or reduces troubles with ink that may feather or bleed through other types of paper and you can write on both sides of the page. 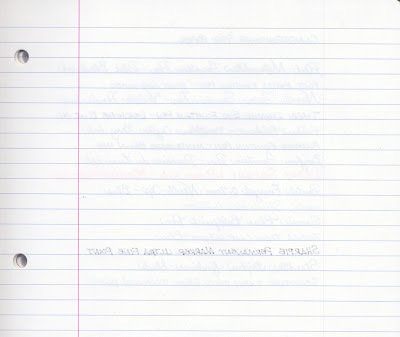 The smoothness of the paper makes writing a dream! You can check out the performance of this paper by taking a look at the scanned writing samples below. There are a few features that make the Clairefontaine Classic Notebook with the 3-hole punch stand out from other Clairefontaine notebooks. Since Clairefontaine is a European brand, most of their notebooks and paper products are metric sizes and might be a little different than what we are used to here in the USA. The Classic 3-hole punch notebook is standard American letter size – 8 1/2” x 11”. The 3-hole punch is sized to fit American 3-ring binders perfectly so you don’t need a special European binder to use this paper. Each page is microperforated so it can cleanly and easily be removed from the wire binding. In addition, most large size side wire bound or side staple bound Clairefontaine notebooks contain 48 or 50 sheets of paper. The Classic 3-hole punch notebook contains a generous 90 sheets of paper so it can carry you through a lot of note taking. 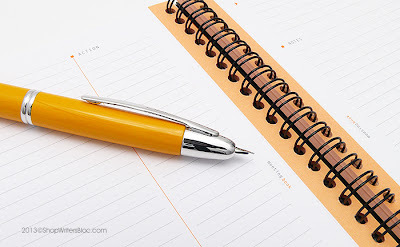 If the Clairefontaine 3-hole punch notebook is just what you are looking for and you want to stock up, Writer’s Bloc offers an additional discount for a set of 5 notebooks. Do you use Clairefontaine notebooks too? Why would you recommend them to other writers?